More than 500 people have been injured after a meteorite flew across the Russian sky sending fireballs into the city of Chelyabinsk. The explosion occurred at 9.20am (12.20 E.T) resulting in a bright light and a shockwave across the city east of Moscow. No fatalities occurred however hundreds of people sought medical aid due to flying glass from shattered windows. Shop frames were destroyed on Chelyabinsk’s central Lenin Street, a wall at the Chelyabinsk’s Zinc Plant was damaged and a 20-foot hole was created in the ice of a frozen lake. 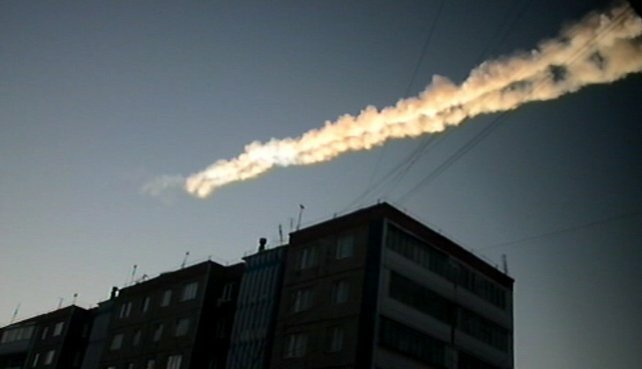 Mobile networks were down for around two hours after the meteorite exploded. Scientists estimated that the meteorite weighed ten tonnes and was travelling at a speed of 19 miles per second. With such events rare, the last major incident caused by a meteorite occurred in Siberia in 1908 when an area of more than 1,250 miles was impacted.